In order to crack any interview process, one has to clear HR round . Although not difficult but it is a little bit tricky and checks one’s presence of mind. When this stage comes, the first question which comes in mind of every job seeker that what sort of questions can be asked in HR interview and how to respond them back. Let’s discuss some common questions asked during the HR round. This is the most commonly asked question in any HR round and at the same time most tricky one. You should follow some guidelines while answering such questions. Tell them by defining how you are most suitable for the position. Try to match your experience and qualification with the position recruiter is looking for. Emphasize those skills which are relevant to the job on offer. Describe your achievements in such a way that seems that they are work related and they shouldn’t seem like these are rehearsed. Describe your problem-solving skills, leadership and presentation skills, ability to work hard etc. This question has been designed to screen candidates so one must be very clear while answering such questions? Describe your weaknesses as your strengths and don’t let employers eliminate you. In this type of questions, you have the chance to read interviewer’s mind and answer that accordingly. One must try to understand interviewers mind and greatest needs and molding answer according to that gives you the advantage over others. 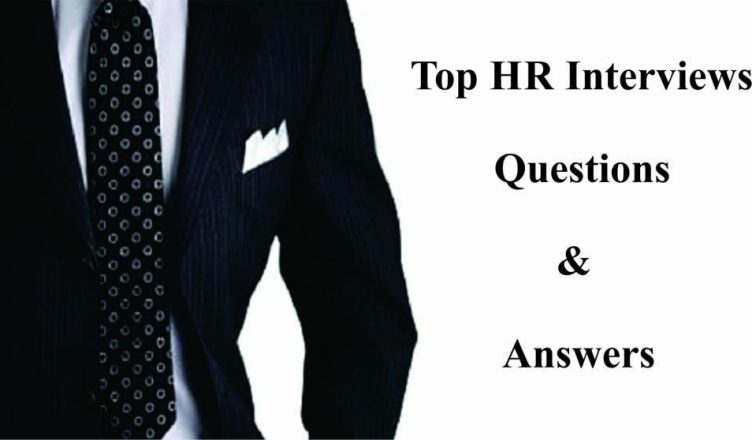 This is again a tricky question, but HR Recruiters wants straight forward answer to this question? Describe your likings towards your present job on offer. But don’t overdo this as you are about to leave that position. Don’t be too specific while answering such type of questions instead of giving them straightforward answer and make sure that interviewers that you want to make long-term commitments with the organizations and this is the exact position you are looking for. Answer this question with illustrative examples and tries to let employers understand your examples? Be positive while answering questions. This is the question where you can win their hearts? Answers should be straight for such type of questions. Describe your strengths and how they can be benefited to your organization. Do your research before the interview to find out the average salary for someone in that sort of role. For the best chance of getting the salary that you want, aim higher than average and then negotiate. 10. Do you have any question for me? Always prepared these type of questions .Don’t ever say no. because it will create bad impact on interviewer about you. Ask such type of questions like when can I join. Asking these type of questions ensure recruiter that you have enough confidence to speak in front of people and your chances of being selected increases to many folds. Very good write up guys, as always. Solid tips are always appreciated, and so far only you and these guys have come through with great advice. Again, thank you for the article and keep it up! We are a group of volunteers and opening a new scheme within our community. a formidable job and our whole community will likely be thankful to you. I simply want to say I am very new to weblog and honestly loved your website. Probably I’m going to bookmark your website . You certainly come with terrific posts. Many thanks for revealing your web site.